For those who may not be aware, Peter Boardman was the Mynydd Climbing Club’s most celebrated son. You may have admired the photo at the club hut of him in a Mynydd T-shirt on the summit of Everest. 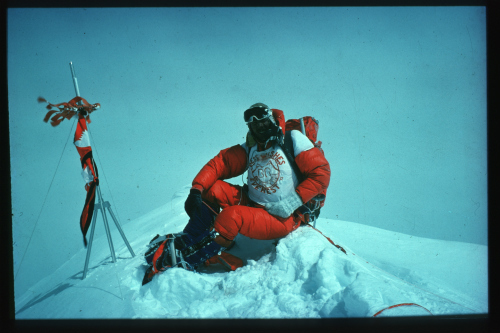 Sadly he and Joe Tasker died on the mountain on another expedition in 1982. The Boardman Tasker Charitable Trust was established in 1983 to promote literature by providing an annual award to authors of literary works, the central theme of which is concerned with the mountain environment. The prize of £3,000 commemorates the lives of Peter Boardman and Joe Tasker and is given to the author or co-authors of an original work, which has made an outstanding contribution to mountain literature.